Overcharged Lead-Acid battery - what to do? I just found my 12V Lead-acid battery hot and bubbling from a charger malfunction. 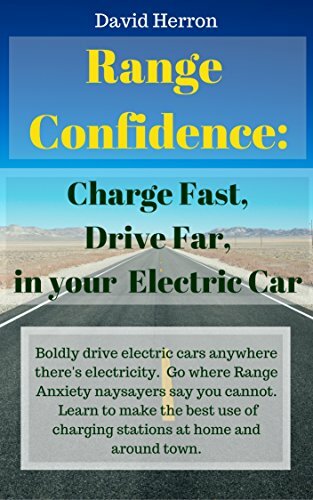 It was connected to a 3-stage charger, which has been topping it up continuously since several months, while the 12V battery was supplying a bank of small battery chargers with "uninterruptable" power for testing and comparison of hundreds of NiMH batteries (a few at a time). For some reason the 12V charger decided to charge at 10A irrespective of battery voltage. This went on for probably about 9hrs, but certainly for a minimum of 4 hours. When I found it, the 12V battery was making bubbling sounds and had an external temperature of 50degC (in 26degC ambient temp). One drop of (presumably) acid had come out of a hole which looks like a vent. I had "LogView" running, so I know that the 12Vbattery voltage suddenly jumped from the usual 13.5V to around 16V, with a maximum voltage of 16.67V reached at some time. For at least 4 hrs the voltage bounced around between 15.7V and 16.6V. The battery is about 2 years old but has gone through very few charge/discharge cycles. Is there anything I can do to reduce the damage that might have been done? Do you think this battery has been severely damaged, or can it take that kind of abuse for a few hours? Re: Overcharged Lead-Acid battery - what to do? As Maryland Bob stated [4 times] the battery is probably ruined. If you can't restore it, I suggest you choose a REAL Deep Cycle Battery. A Marine battery means it is a poor deep cycle, and a poor starting battery, that pretends to be Both. It is fair for use as a marine battery, but poor for a RV use. There are better batteries for each service. Once you repair or replace charger, buy a Deep Cycle battery. Check out specs on the Lifeline AGM batteries -- which require an AGM charger. They are sealed, and will last many years, with proper handling. They have a very wide range of discharge and charge amps, but should not be discharged lower than 50%. Look at their life span, with different discharge levels. Do you actually have a UPS? Most have a built in charger. What current do you require, and for how long? Charge-discharge cycles are good for battery, if carefully monitored, for temperature, voltage, and current. It seems to (literally) boil down to this: "Maintenance free" really means "Maintenance impossible" for lead acid batteries. I got a new charger, a CTEK 5A charger. I hope it is more reliable, but it gets very hot. I guess I need to test the battery, but even that will not tell me if it is reliable. The setup is designed to give me piece of mind during thunderstorms and power outages while I am running and logging tests on Prius NiMH battery modules. The 12V battery is being continuously charged by the (now) CTEK charger (from the grid and through an isolating transformer). The charger has more peak power than the loads are demanding (on average) and ends up in float charge mode sooner or later. The loads are a SkyRC Quattro B6 charger (4 x B6 chargers in one housing) and one very similar RT808D charger. I used to run CHG>DCG>CHG>DCG>CHG>DCG cycles at 0.6A and compare the capacity results and other parameters to determine how much exercise cycling is required before "final" power and capacity testing of the NiMH modules. Because this test takes almost 3 days and cannot be repeated (if interrupted and the data is lost), I rigged up the 12V battery as a UPS. I also have an inverter connected, but usually turned off. This can be used to power the logging laptop once the laptop battery is empty, but requires manual plugging over. However, by comparing the results found by the above method, I found that a single ((CHG 0.6A to 8.5Ah) > (DCG 0.6A to 5.8V)) then (CHG 0.6A to 7.5Ah) then (DCG at 30A/100A/30A) is sufficient to analyse the NiMH modules. This also means that data loss does not matter much, because if the grid power goes out, I can always just start again with the batteries that were being tested at the time. The results will still be reliable enough. What it all means is that I don't really need this rigged-up UPS at the moment. But, I will sooner or later have another question that needs lengthy logging without data loss and I want to be ready for it. I did not buy this 12V lead acid battery specifically for this UPS purpose, but rather as a general emergency standby power source that I can recharge from solar panels or generator or car if required. I thought it could be used for electric cattle fences, car starting, lighting, charging power tools or radios, computers, ADLS modem, etc etc. in an emergency situation. A jack of all trades, master of none. Now I think it might be better to buy individual 2V lead acid cells, fully serviceable, for such a multi-purpose standby function. But they would be much harder to transport and use, particularly for people who don't know what they are doing. 1) What would be the toughest, most durable and repairable battery for multi-purpose emergency standby? It should be able to be neglected for months or years, then work for years when needed. Clear battery walls would be nice so that the condition of the plates can be seen. 2) How can I test if the damaged 12V battery is worth keeping? It is black, there is no easy way to open it up anywhere to have a look at the insides. I could take it to the shop, or I could test it with a CBA3 (probably limited to about 7A DCG current) or my rigged-up halogen-lamp tester at probably around 170A. But none of this will tell me if the plates are in a state of accelerated decay due to the damage done. It looks like you have a good system working for you. I've always thought that if no fluid can be added to a battery that is over sulphated from excessive charging, the cells are damaged and recovery is unlikely at best. As you know, the battery's condition can be determined one of two ways: with a carbon pile "load test" (that applies a calibrated load to the battery) or electronically with a special tester that measures the battery's internal resistance. Equipment that uses a carbon pile for load testing requires the battery to be at least 75% charged. If the battery is less than 75% charged, a good battery may fail the test. So the state of charge must be checked first, and the battery recharged if it is low prior to testing. NOTE: The battery does NOT have to be fully charged prior to testing if an electronic tester that measures internal resistance is being used. A good battery should be able to supply half its CCA rating for fifteen seconds without dropping below 9.5 volts. You had a rather ingenuous way of loading your battery by using "a CBA3 (probably limited to about 7A DCG current) or my rigged-up halogen-lamp tester at probably around 170A". That will tell you if its good, but there is no low tech way that I know of to get a measurement of how sulphated the plates are without an internal inspection. Hi, Not sure if this is related. But here goes. I have a sealed Lead Acid battery 17ah It was low on electrolyte so I topped it up with De-Ionised water. I haven't charged it yet but the battery has got very warm. Any ideas? do I need to empty it? is it dangerous? should I move it out of the house? How did you top it up if it is sealed? I have found that the BMS, or "Battery Management System" used to keep cells equalized and prevent over charge or discharge of the cells, can DEFINITELY be the culprit in many cases of premature cell death! If the dying cell(s) seem to always occupy the same physical location in your pack, it is very possible that your battery management system is constantly discharging that cell position, thereby taking the cell voltage too low, and destroying it! I find that many manufacturers of these systems FAIL to address the need to protect the circuits from the effects of voltage spikes, and/or RADIO FREQUENCY FIELDS, such as may be encountered by proximity to a nearby transmitting antenna, or generated in the vehicle, by switching transients from the motor, the charger, or other devices powered by the battery! This omission of R.F. Suppression filtering, bypassing and shielding of such an important part of the battery system may become a really BIG problem in the vehicle market, as it is all but IMPOSSIBLE to be certain a vehicle will never be operated in, or located nearby, a high level source of radio frequency energy, whether the radio frequency energy comes from a million watt TV or radio transmitter, a cell tower, a truckers "CB Radio and linear amplifier", a police/fire vehicle, a nearby HAM radio 1,500 watt transmitter, or your own cell phone/computer Wi-Fi system! Such radio waves are ALSO generated in NATURE, by nearby lightning strikes! ( for SAFTY and RELIABILITY, susceptibility to high levels of radio frequency energy and voltage spikes should be tested and guarded against, by adding needed ferrite radio frequency chokes, bypass capacitors, current limiting resistors, and feedthrough capacitors with proper shielding of critical circuit boards!) As HAM radio operator, with equipment capable of operation from 1.8 megahertz up to 10,372 megahertz, I have personally experienced some failures of these circuits, and lost a few cells as a result. Adding indicators to the BMS to show status of the discharge function, with an ALARM if discharge function remains active for an excessive time, may be of help!) --Perhaps EMI/RFI testing should be a REQUIREMENT of vehicles and battery systems, maybe some battery failures/fires and other malfunctions could be prevented! EMI=Electro Magnetic Interference, RFI=Radio Frequency Interference. you could use a low voltage disconnect although you want one that draws nothing once the voltage drops low enough for it to disconnect the load. you could also use some of the vectrix nimh batteries - only downside is if you put them in storage they won't hold their charge. That should work nicely in the boot of a NHW10 Prius to stop the 12V battery from getting ruined. I might order one and try it out. I think battery has been damaged due to overcharging. When we do overcharging at constant current, electrolyte temperature will increase, it is bad for battery. 1. We should maintain the electrolyte temperature of about 33 to 43 deg celcius. If electrolyte temperature beyond this value, plates inside the battery will damage(plates shedding). So capacity loss will happen. 2. Water loss is another problem for overcharging, if water loss is more, electrolyte will be highly concentrated, sulfation will happens. What you describe is exactly a feature in most modern smart chargers to avoid Acid Stratification. Normally part of maintenance or equalizing step in charging. The duration of monthly equalization ranges from 2 to 16 hours. The goal is literally to BOIL the acid. Unless it boiled long enough to expose the plates there's no issue. As per my experiencethe battery's condition can be determined one of two ways: with a carbon pile "load test" or electronically with a special tester that measures the battery's internal resistance. Equipment that uses a carbon pile for load testing requires the battery to be at least 75% charged. If the battery is less than 75% charged, a good battery may fail the test. So the state of charge must be checked first, and the battery recharged if it is low prior to testing.